Temperament: Super friendly and affectionate. Other information: Romeo is deaf. He is good with other cats. 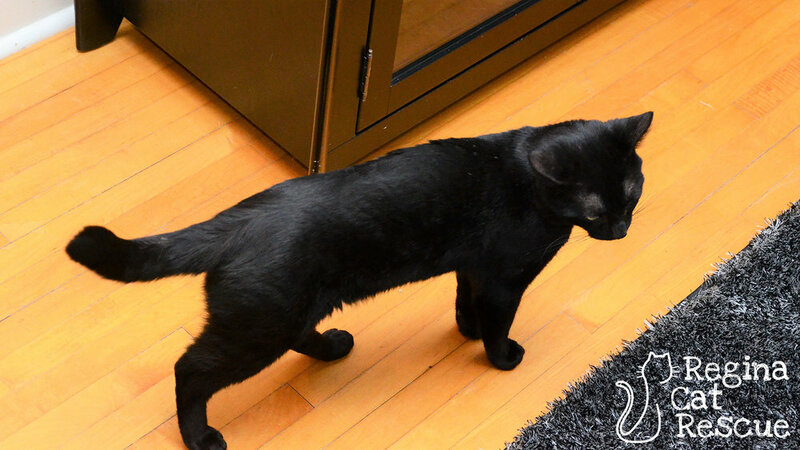 When Romeo showed up stray at the home of a dedicated RCR volunteer, he was skinny, full of mites and a little wobbly on his feet. This sweet boy may be only a year old but he has already lived a lifetime of hardships; he is deaf and also had several health issues upon rescue. But Romeo is also one of the sweetest cats ever to come into the care of RCR. Romeo is a happy-go-lucky fellow who loves attention and is a textbook example of a lap cat! He is a bit wobbly on his feet due to being deaf but is otherwise healthy now . Romeo would make a great addition to a home looking for a cat to befriend their existing cat. If you are interested in Romeo, click here to view our adoption contract and click here to complete an adoption application or email the RCR Adoption Coordinator at rcradoptions@gmail.com for more info.